If it’s been a while, you’ll want to check out these 5 ways to determine if you need new tires. With our busy lives and demanding schedules, who really has the time to thoroughly check the tires on their vehicle to see if they need replacing? Of course, if you have a mechanic check your vehicle periodically, they will most likely tell you if the tires need to be changed. If it’s been a while, you’ll want to check out these 5 ways to determine if you need new tires. Weathering is a major factor for the tires on your vehicle. They are endlessly exposed to the elements (heat,cold, snow, ice and water). Because rubber is a natural material and will break down over time, you need to be aware of the potential signs of weathering. Common indicators are fine cracks in the sidewall and in between the tread blocks. If you do discover these cracks (which will expose the internal materials of the tire to the elements), your tires should be replaced immediately to prevent any damage or issues with your vehicle. 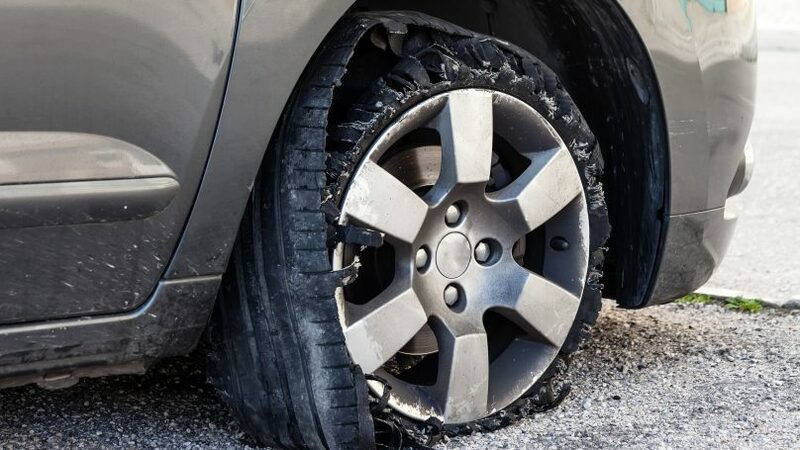 This usually occurs in a tire after a substantial impact with a pothole or a curb. 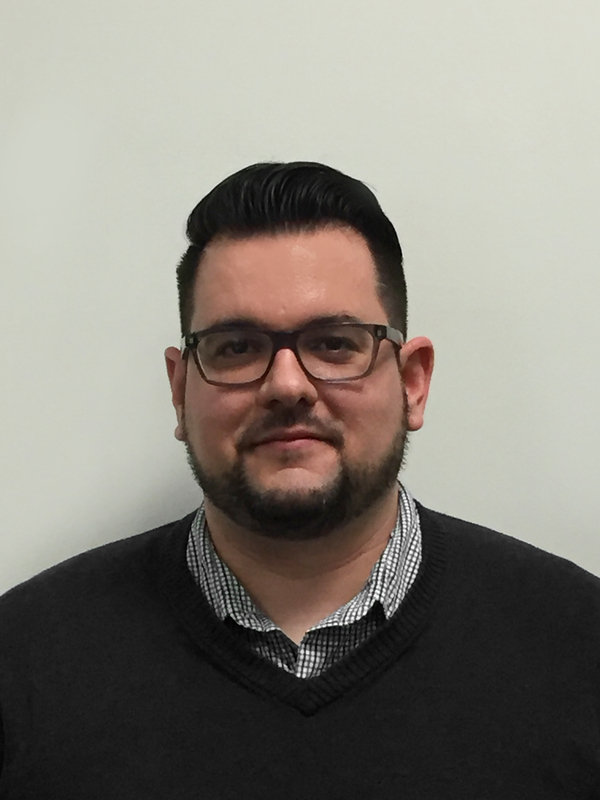 Manufacturer defects can also cause this issue, but are less common. 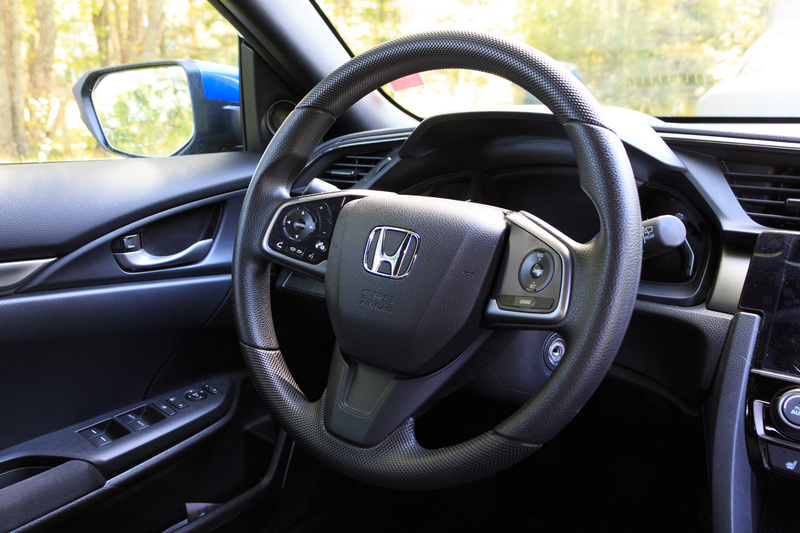 A bulge is caused by air getting between the inner liner of the tire and the outer material layers (fabric, metal or rubber), resulting in an air pocket to form at the weakened area. If this is not addressed, the bulge could rupture cause serious damage and/or injury. 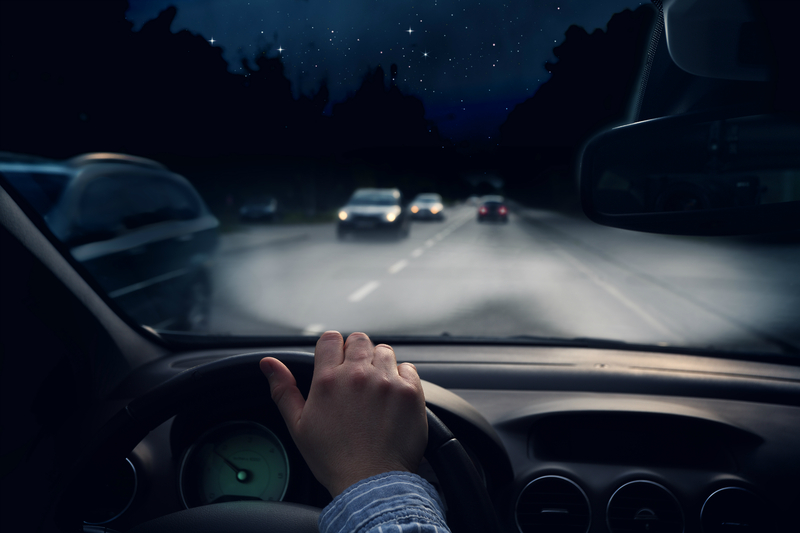 Vibrations are an indicator of various tire problems from tire balancing to out-of-round issues. 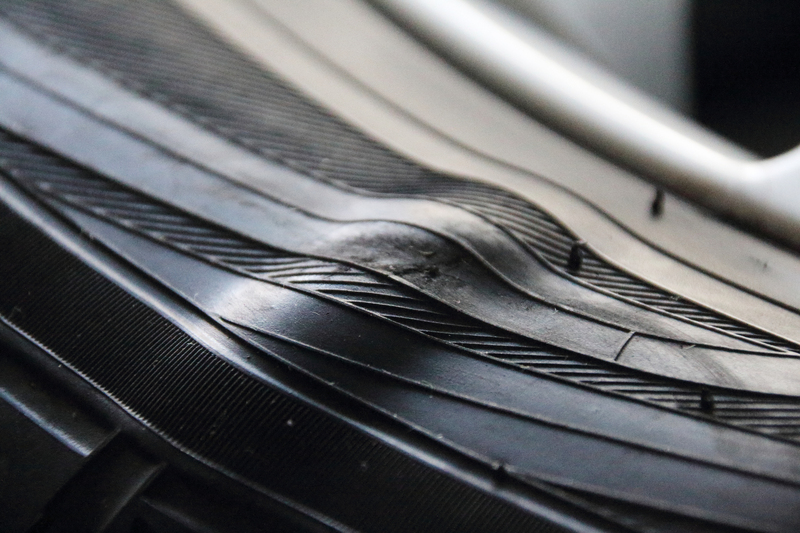 One major tire problem that can cause a vibration is when the ‘belts’ or inner cords of the tire separate or shift. 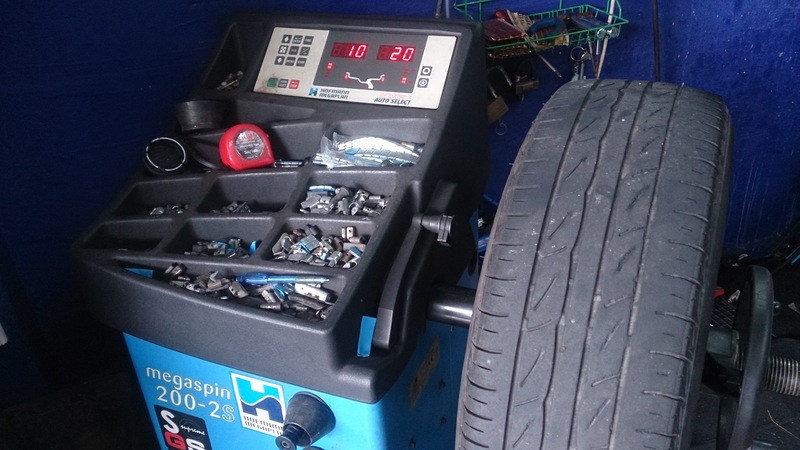 Although this is not visible to the naked eye it becomes abundantly clear when the tire is mounted to a balancing machine. The driving feel with a separated tire is described as lumpy at low speeds which becomes a very high frequency vibration at highway speeds. A tire with these issues needs to be replaced. At what point is a tire considered worn out? The actual measurement of a tire that has exceeded its usable life is 2/32nds of a inch. If you have a tread depth gauge great, just check you tires; If not, here’s a simple test you can perform to see if your tires need to be replaced. – Place a penny in the tire tread at various locations around the tire with the Queen’s head facing down. – If it is, you have 2/32nds or less of tread depth remaining and need to replace your tires. Tire age ties into a couple of the previously mentioned issues, but is also affected by the date they were manufactured. 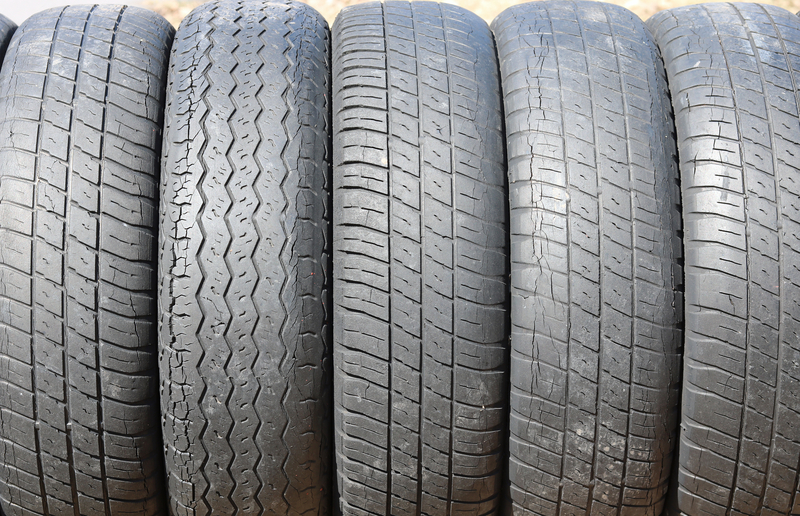 Typically, most tire manufacturers recommend tire replacements at 5 or 6 years with an absolute replacement timeline of 10 years regardless of tire condition or tread depth. Your tires have a date stamp on the sidewall that indicates the week and year the tire was manufactured. 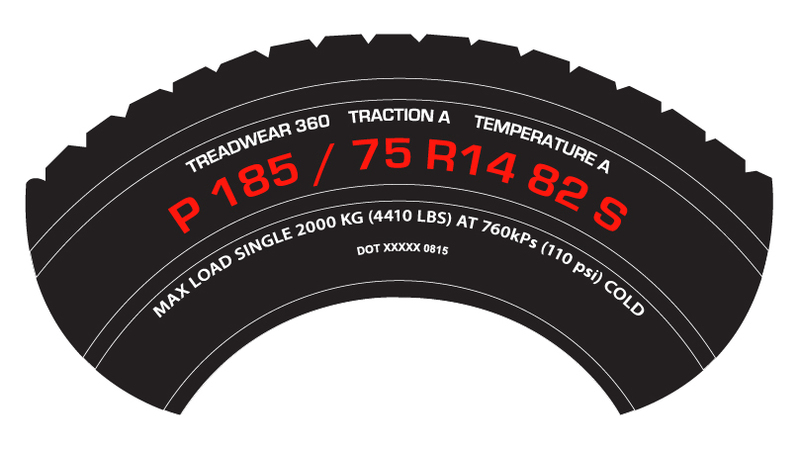 Use this stamp to assess the age and timeline for replacement of your tires. Warning: if you ever see exposed inner tire materials such as metal or fabric cords from the tread or sidewall of your tire, replace them immediately. 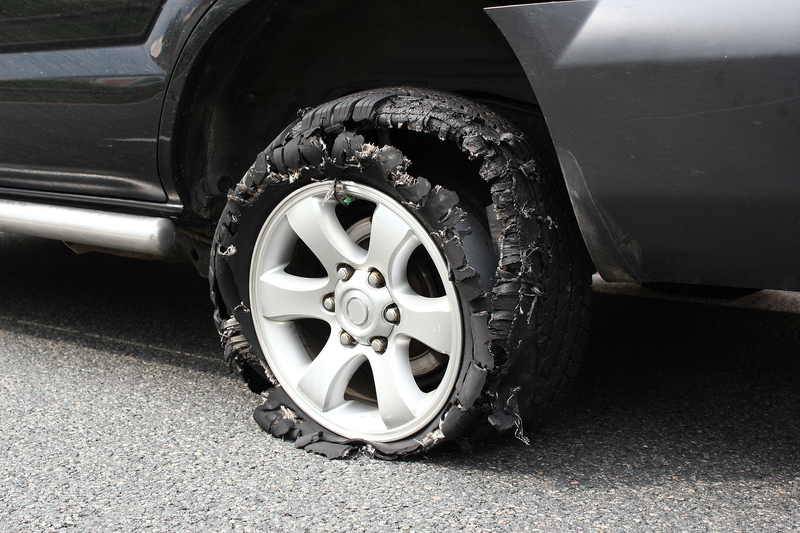 Exposed materials greatly increase risk of tire blowout or rapid air loss. 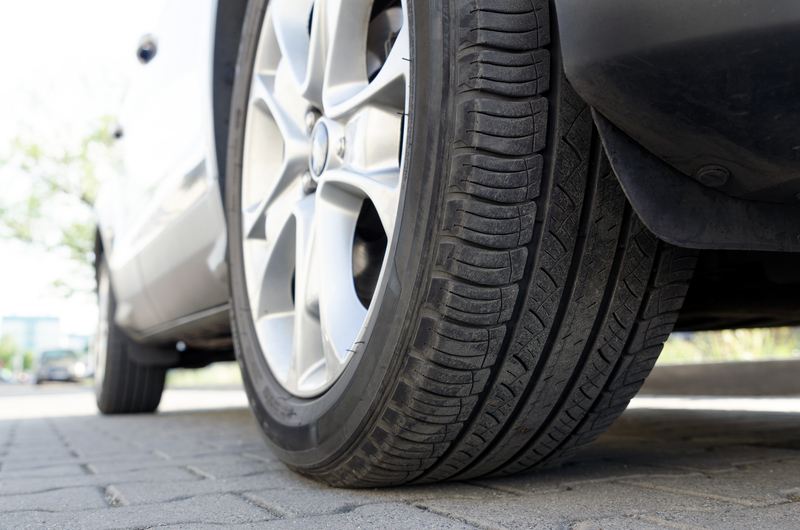 Your tires should be inspected and rotated frequently to help prolong their service life. Tires should always be replaced as a set of 4 in all-wheel drive or 4-wheel-drive vehicles and at minimum as a pair in two-wheel drive vehicles (front or rear drive). It is advisable that all four tires have uniform amounts of tread depth remaining.